The all day package is perfect for those looking for all day coverage. The all day package is the deluxe add-on because you can tick many jobs off of your wedding list all at once, with our package it’s all taken care of! Let us capture those magical moments from your special day. Our friendly, professional photographer can be with you from the first moments of the day right until the last few dances later that evening. Our unique photographic approach ensures that not a moment of the day goes unmissed. Create unforgettable memories that can be shared and seen time and time again. Playing background music whilst you eat is a great way to make keep your guests entertained and even singing along whilst they wait for their next course! It’s a great way to fill some time and give the room a little more atmosphere. Ensure that all of your guests can clearly hear each word throughout the speeches with our high quality JTS wireless microphone system. 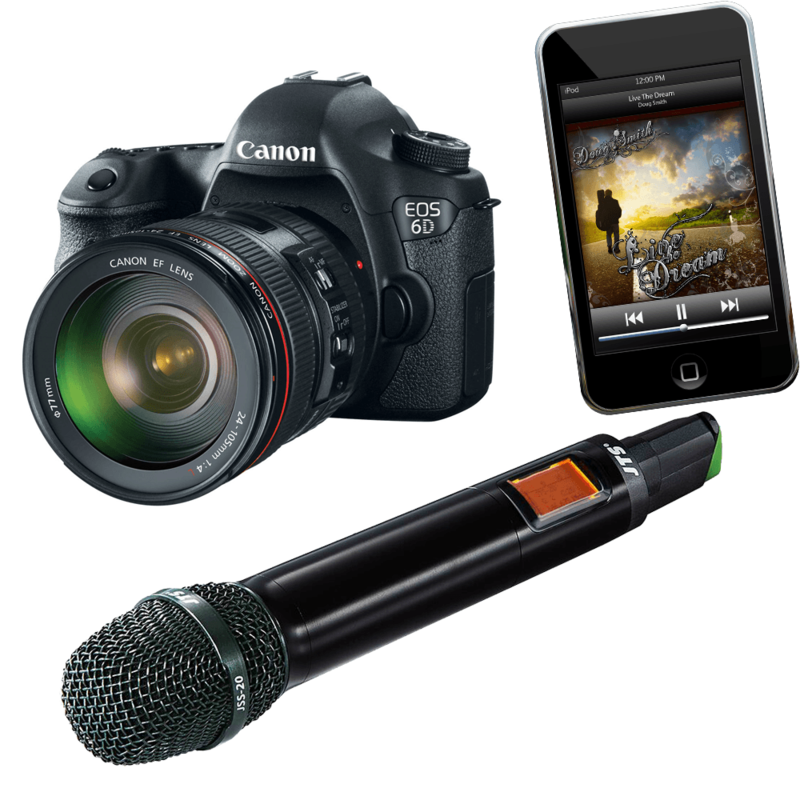 As standard we provide one wireless microphone although a second is also available on request. If you are having a toastmaster or MC we will be glad to provide them with a microphone for all of the announcements throughout the time you are in the evening venue. If you require the microphone on stand then that’s no trouble either, just let us know when booking the all day package.